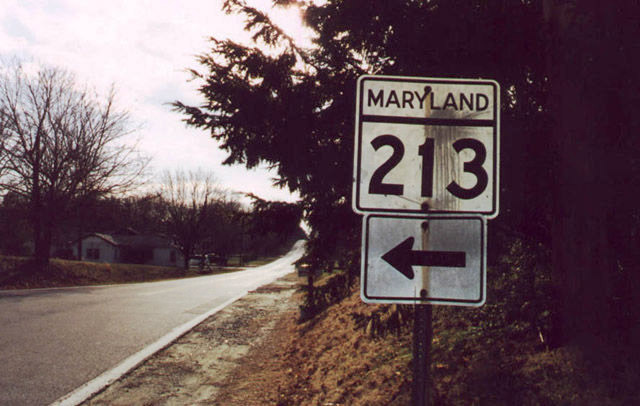 Basil Avenue southbound at the turn onto Maryland 213 in South Chesapeake City. The sign was replaced. Photo by Alex Nitzman, 1/15/2000.